Superman seat grab - Carey Hart was the first person to publicly do this BMX trick at the first IFMA events in 1998-1999, and since then the seat grab has evolved some what from the early days. 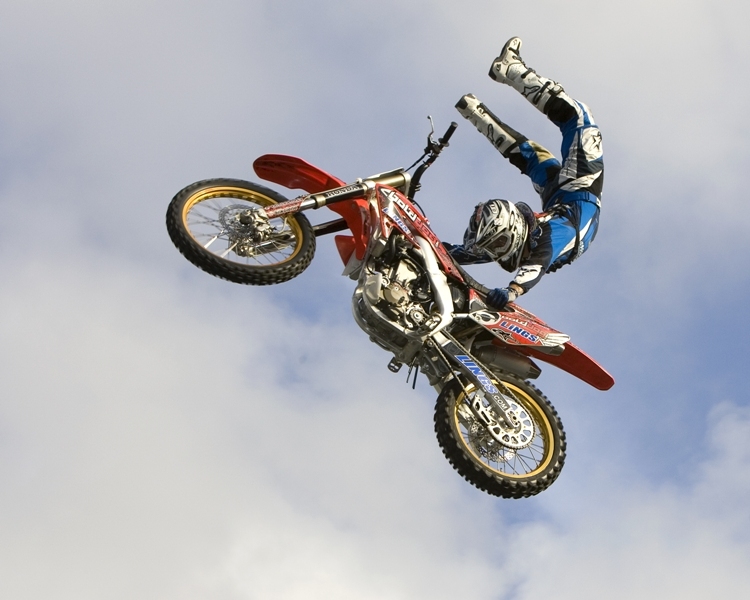 Riders can now vary the Standard Seat grab in many ways, and one of the first ways a rider will try to improve their stock seat grab,by crossing the legs and making it into an Indian Air Seat Grab. From here a rider will try to work on getting the Seat Grab inverted , meaning the rider will progress to try and get their feet up above their head making the Seat Grab into a Hart Attack Seat Grab. 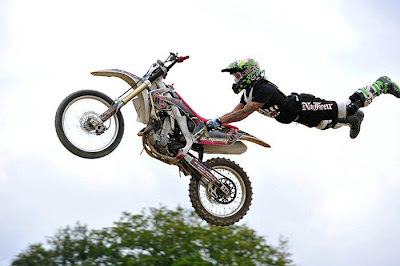 It is then possible to style up the Hart Attack Seat Grab ,by either arching the legs and back, the Scorpion Hart Attack Seat Grab, or again by crossing the legs and making it in to a Hart Attack Seat Grab Indian Air. 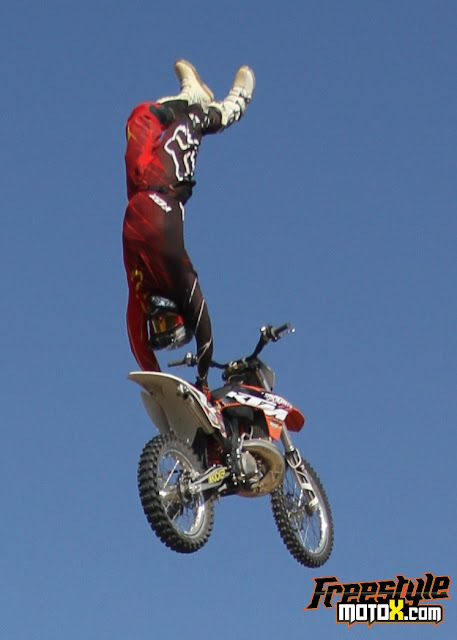 Also by getting the head to look back adds a certain style value. A rider can then add more technical value to the Seat Grab combinations by either doing all the variations mention previously with 2 hands the Double Grab and all the variations as mentioned, or by either hanging on to the seat with just one hand Seat Grab and all the variations. 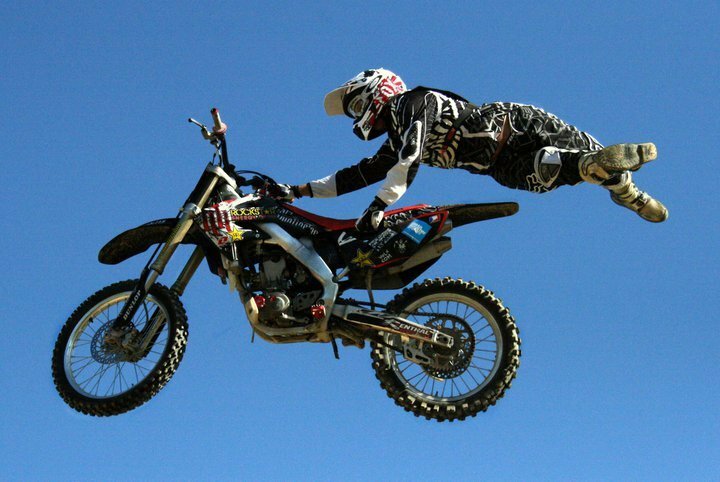 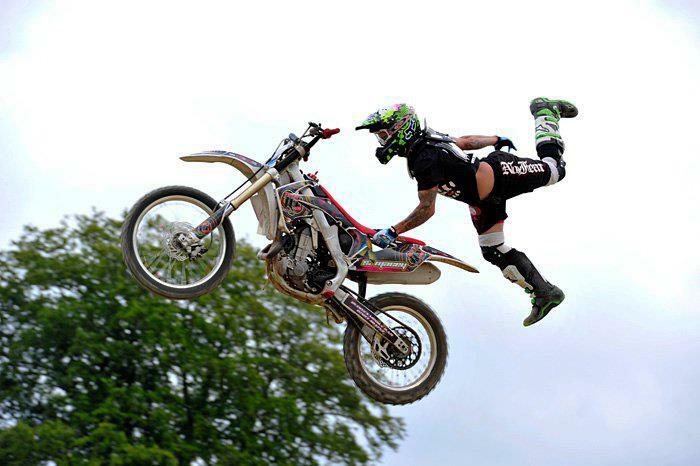 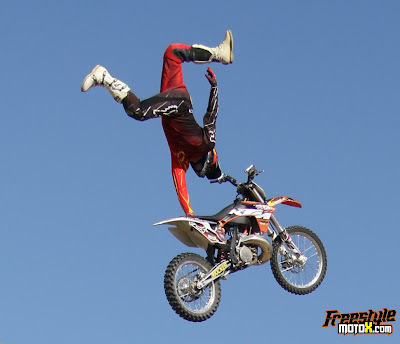 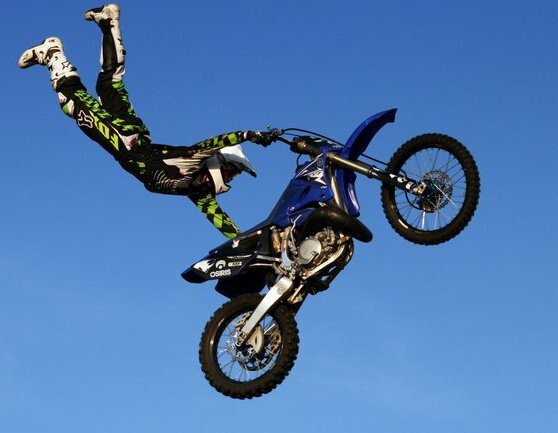 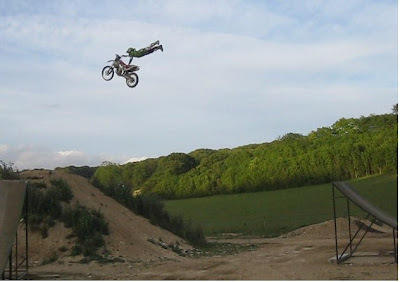 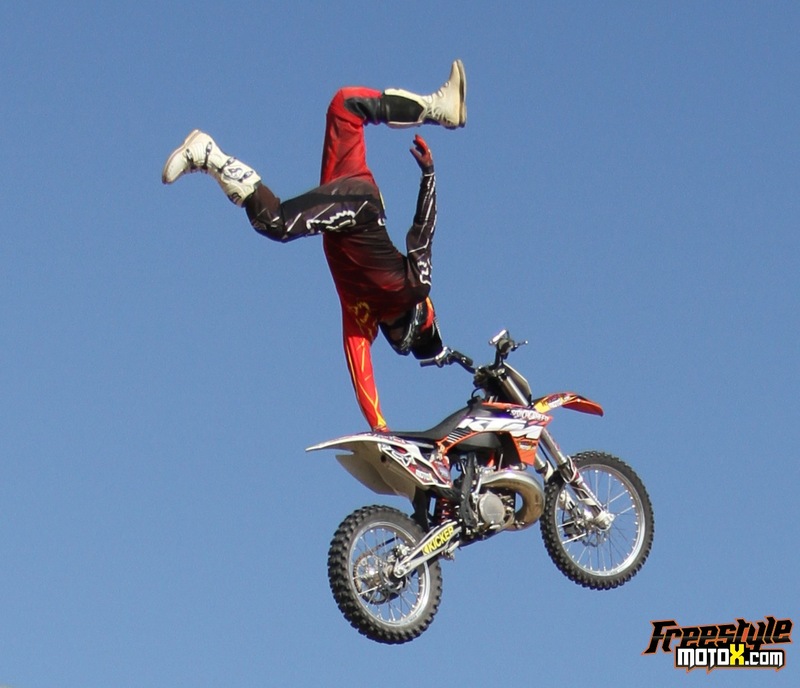 A rider in the early days of their FMX career will be keen to get the Seat Grab on to their trick list as many other tricks can then be achieved in quick succession once the basic seat grab has been nailed.